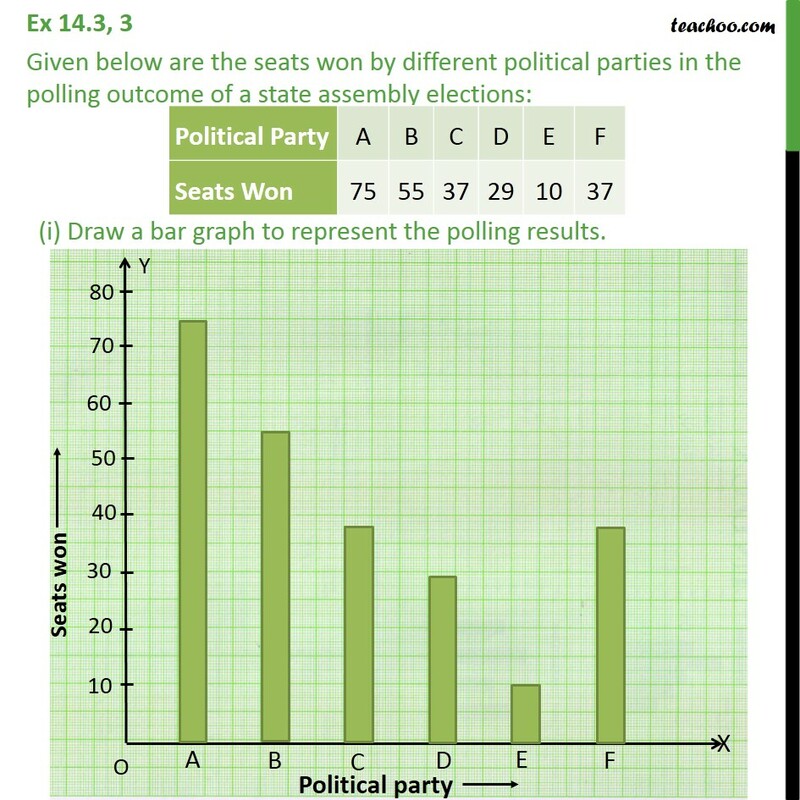 Ex 14.3, 3 Given below are the seats won by different political parties in the polling outcome of a state assembly elections: (i) Draw a bar graph to represent the polling results. Ex 14.3, 3 (ii) Which political party won the maximum number of seats? Political party A won maximum number of seats.